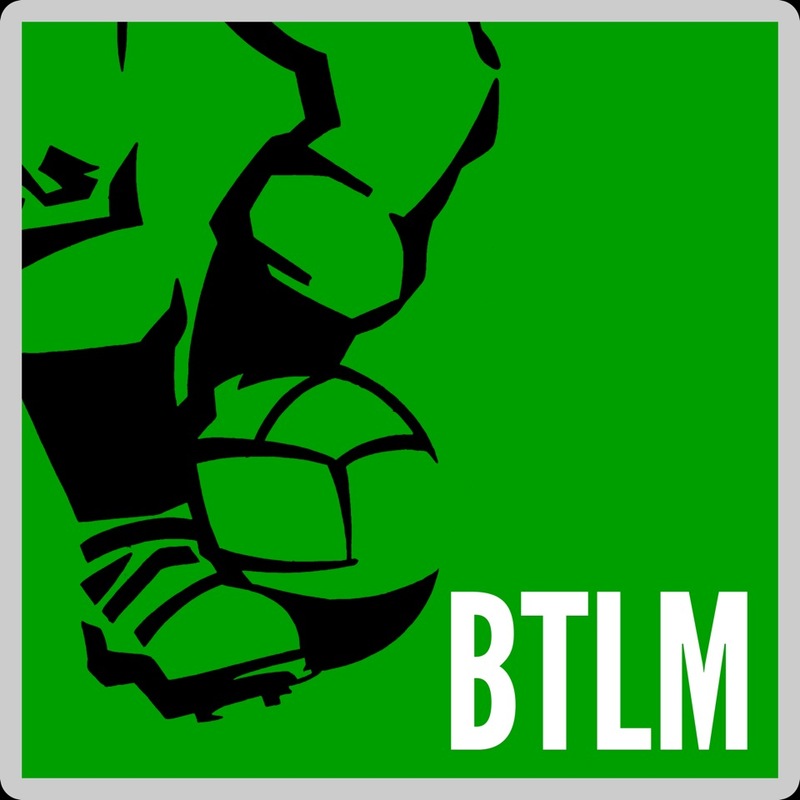 Stars of BTLM is another of our new regular features with each edition reappraising the career of one this website’s favourite 20th century footballers. There’s some basic underlying criteria that underpins our choice of featured players as we focus on those whom we believe have not been as well served by history as their talent suggests they should have been. The reasons such players are underrated can be diverse: some had injury blighted careers, some played for the wrong club or the wrong manager at the wrong time and some have just been swept into a dark corner of football history through simple bad luck. Stars Of BLTM is our own modest attempt at resurrecting those forgotten reputations and introducing a new audience to greats from the past who they may know little about. It’s perhaps contentious to make a case that a man who remains to this day the fourth-highest scorer in World Cup Finals history can ever be underrated, but therein lies the problem: Fontaine’s career is almost exclusively defined by those 13 goals he scored in just 7 games during the 1958 World Cup. While his career was tragically cut short through injury, focusing solely on his exploits over a 3 week period in June 1958 does great disservice to a free-scoring striker who was one of the more complete centre forwards of his age. Fontaine grew up in Morocco and became an apprentice footballer at 17 with his local amateur side USN Casablanca. A debut hat-trick and a scoring rate of greater than a goal a game soon marked him out for better things. Across the Mediterranean OGC Nice was a major force in the French game at the time and a large part of that was down to their very active and successful foreign scouting. The club cast its net far and wide to find talent before bigger rivals got to hear about them, and this was how they discovered Fontaine. The striker, now aged 20, signed in 1953 and took very little time to settle. After just a handful of games he had developed a fine understanding in attack with the club’s brilliant Argentine forwards, Luis Carniglia and Rubén Bravo. Nice won the Coupe de France and Fontaine scored 21 goals in his debut season. His second year built on that promise before the 1955-56 season saw him experience something of a dip. Never quite able to get fully fit after a succession of minor injuries, the forward was not a fixture in Nice’s title-winning side and five League goals was a disappointing return. Nice believed Fontaine’s career had peaked early and when Stade de Reims offered £12,000 for his signature in the summer of 1956, they were happy to sell. To put this fee into some perspective, the world record transfer at the time was the £90,000 that Juventus had spent on Omar Sivori. France’s best player, Raymond Kopa, had just moved to Real Madrid for a £45,000 fee, but £12,000 was still a tidy sum for a deal between French clubs. The Reims manager Albert Batteux invested the Kopa fee in three new attacking options. Arriving at the same time as Fontaine was the elegant left-winger Jean Vincent from Lille and the following season inside forward Roger Piantoni would join them from Nancy. Fontaine would be the attacking spearhead of the team though and the one expected to score the bulk of the goals. Filling the big boots that Kopa left was a tough ask, this was France’s greatest-ever player after all and a figure of adoration for Reims supporters. Kopa had nominally been a centre forward, but actually played a broader role as a false nine who dropped deep to lose defenders and create space – a little like the role we recognise Lionel Messi in today. Kopa could create and score goals whereas Fontaine was much more of a conventional striker reliant on others to get the ball to him. Not that good service was a problem in such an attack-minded Reims side and he thrived in this thrilling and vibrant environment, feasting on the chances that came his way from Vincent, Piantoni, Leblond and his striking partner, René Bliard. Aptly for a man nicknamed ‘le canonnier,‘ the goals flowed freely with 31 coming in his debut season and 39 in just 32 games the following year when Piantoni came on board. As Ligue 1’s top scorer his club career was flying and yet his international career had stuttered to a halt. As the 1958 World Cup approached, Fontaine had won just four caps since his scoring debut against Luxembourg five years earlier. Club form made him an obvious call-up but he travelled to Sweden expecting to be reserve to Bliard, his Reims teammate. With defences unable to handle the near-telepathic movement and interchanging between the pair, the goals flowed for the French and particularly for Fontaine – despite having to play in borrowed boots. During the group stages there was a hat-trick in a 7-3 win over Paraguay, a double against Yugoslavia and the winner against Scotland after he had set up Kopa for France’s opener. Into the knock-out stages and he netted two more in the 4-0 win over Northern Ireland and one in the semi-final defeat to Brazil. His total rocketed in the third place play-off against the West Germans with France winning an amazing game 6-3. Fontaine scored four goals in the second half, including one from a run that started on the half way line. Seven of his tournament goals came with his right foot, five with his left and one with his head and he even turned down the opportunity to take a penalty against the West Germans. In the days before the Golden Boot existed, Fontaine took home nothing shinier than an air rifle presented to him by a Swedish newspaper. His 1958-59 season was again rewarding both domestically and now in the European Cup too with his 10 goals in 7 games inspiring Reims to their second Final appearance against Real Madrid. A 2-0 Quarter Final defeat away at Standard Liege led the Belgian side’s Hungarian coach, Géza Kalocsay, to prematurely declare Reims past their best. That particular Reims line-up didn’t have Fontaine though whereas the team for the return leg did, and the centre forward casually scored a double as Reims overturned that deficit. The Kopa return didn’t bring the rewards many had expected. Fontaine accommodated the returning hero by adjusting again to a slightly deeper role and while there were glimpses of the old chemistry, injury to one or the other meant that they rarely appeared in the same line-up. Fontaine was ever-adaptable to whoever was alongside him though and was having another free-scoring season, at least until the late tackle in a February 1960 League match that caused a double fracture to his tibia and fibula. Fontaine’s season was over and yet he would still end up as the League’s top scorer with 28 goals in 28 games. By the November of 1960 he was approaching match fitness again after a seven month absence and Reims were desperate to have their main goal threat back for the crucial European Cup matches against Burnley. Fontaine wasn’t fit enough to play in the first leg in England, but he would feature in the return leg with a subdued performance as Reims exited the competition. A couple of weeks later Fontaine played what would be his last-ever international match and he failed to score in a 3-0 World Cup qualifier win against Bulgaria. It was looking questionable as to how successfully his leg had recovered with the forward appearing to lack acceleration and mobility. That same leg would give way again just weeks later during a New Years Day 1961 game against Limoges. He gamely worked towards recovery once more but Fontaine’s top-level career was to all intents and purposes over. He was out for a full year this time and finally returned to the Reims team in a 2-0 defeat against Saint-Etienne. Having played fewer than 10 games in two years, the Reims team had moved on without him and now looked to the Moroccan sensation Hassan Akesbi for their goals. Another injury in the spring of 1962 necessitated an ankle operation and in the close season Fontaine sat down with specialists to discuss his future. Medical advice suggested that his twice-broken leg was no longer strong enough to be playing competitive sport and Fontaine reluctantly retired. “It’s a shame, my best years were still ahead of me.” he told the press. It was indeed a shame; 28 was a young age to be forced to give up football, although effectively it had been all over for him even earlier at the age of just 26. Two years of stressful legal battles ensued with the club’s insurers refusing to pay out when they claimed that Fontaine had quit of his own volition. Finally player and club won their case: Reims collected compensation of £40,000 and Fontaine just £15,000. His career had brought him a title in Morocco and four French championships – one with Nice and three with Reims, a Coupe de France win with both clubs and plentiful scoring awards: Ligue 1 top scorer in 1958 and 1960, European Cup top scorer in 1959 and of course, World Cup top scorer in 1958. Fontaine was a goal-a-game striker and he didn’t even take penalties. So why do we rate Just Fontaine so highly? Well, there are plenty of celebrated footballers from the past who look very much players of their time when viewed through the prism of modern footballing norms. It would be hard to imagine many prospering in a modern game where pace, defensive organisation and physical intensity are such important elements. Not Just Fontaine though: this was a player with many virtues that would make him an ideal fit for the modern game. He was a proper centre forward: powerful, squat, determined and very hard to barge off the ball. He was a very quick sprinter, had a good touch, could finish forcefully with both feet and was technically good in the air – although he much preferred the ball at his feet. His personality supplemented the allround package. Fontaine was free of ego, metronomically consistent and was a thoroughly fine professional throughout his career. Level-headedness and composure played a big role in making him the player he was. Fontaine stepped into any team at any age and took little time to forge a good understanding with his partners in attack – the better the players alongside him, the better Fontaine played. We like how, when asked to sacrifice his natural position as the spearhead of the French and Reims team in favour of Kopa, Fontaine not only was happy to do this but excelled in his role and proved able to be a subtle creator as well as a fine finisher. And that finishing. There have been many great strikers over the past half century but only a small subset of them have that rarest of qualities, something BTLM would describe as ‘sang froid’ in front of goal. Good examples of this art are past legends like Marco Van Basten and Gerd Müller who had the coldness and the assuredness to be able to manufacture that extra touch, or take that extra half second under pressure to maximise a scoring opportunity. Just Fontaine belongs in this elevated company.